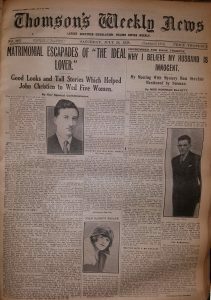 The story of The Weekly News - D.C. Thomson & Co. Ltd. The first Weekly News was issued on May 12, 1855 as a national miscellany news-sheet, primarily for working people or “artisans” as it called them. It owes its origins, however, to an offshoot of the Dundee-based Northern Warder newspaper just over a year earlier. During the Crimean War, which resulted in the defeat of Russia by British, French and Turkish troops, a Saturday issue of the Warder began to be issued in April, 1854 to carry war news. 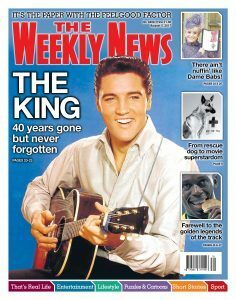 This edition ultimately gave rise to The Weekly News the following year. Credit for the paper’s birth is due to Robert Park, who, four years later in 1859, would bring out Dundee’s first daily newspaper, The Daily Argus. But in 1855, Park saw an opening for a paper to serve the working classes on a Saturday. This induced him to publish a Saturday-morning version of the Warder, which eventually became The Weekly News and was the first weekly penny paper in Scotland. 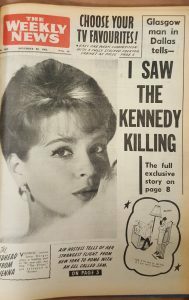 It originally had 10 or 12 pages and was roughly the size of today’s compact, or tabloid-format, papers. 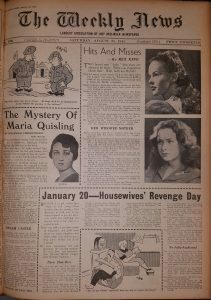 When W & DC Thomson was formed in 1886, The Weekly News was one of two papers – along with The Courier – which passed to the Thomsons’ ownership from the Alexander family. It was printed on a Victory press at Dundee’s North Lindsay Street works, which they had taken over from Charles Alexander & Co. The circulation of the paper rose remarkably under the guidance of brothers David Couper and Frederick Thomson, from 60,000 in 1886 to 100,000 by the end of the 1880s, to 250,000 by the mid-1890s. By 1911, it had reached 300,000. 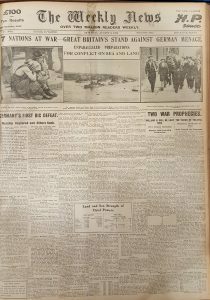 By 1890, The Weekly News was being printed in 11 editions: Dundee City, Aberdeen City, Northern Counties [of Scotland], Perthshire, Fife & Kinross-shire, Stirling District, Edinburgh & South, Glasgow & West, Forfarshire, North of England and North of Ireland. It eventually sold over 13 editions. In the 1890s, The Weekly News sponsored the Artisans’ and Women’s Round-the-World expeditions in the 1890s. 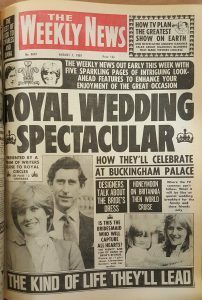 As its circulation grew, The Weekly News was advertised as the biggest-selling paper in Scotland and also the biggest-selling paper outside London. Eventually it sold to all parts of the British Isles. 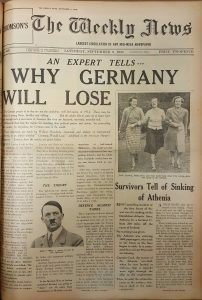 The Weekly News was banned in the Irish Free State in 1930. There was no issue between 22 Feb and 1 Mar, 1947 due to a fuel crisis. 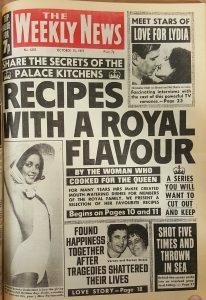 It is believed to have exceeded sales of one million weekly in the 1970s. 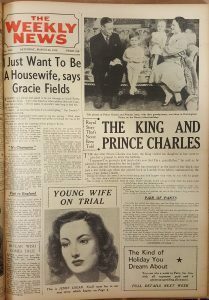 Around this time, The Weekly News led the way in featuring interviews with stars of the top TV programmes of the day, notably Coronation Street.